No, this is not a lamp shop. This past weekend, I visited a really intriguing light and sound art installation by the artist Johannes Rass in the industrial-historical ambience of the “old technology” event space at Ottakringer Brauerei. Lumen, light, the stuff you need for life and photos. Also, lumen, the technical measure of the total quantity of visible light emitted by a source (tells me Wikipedia). 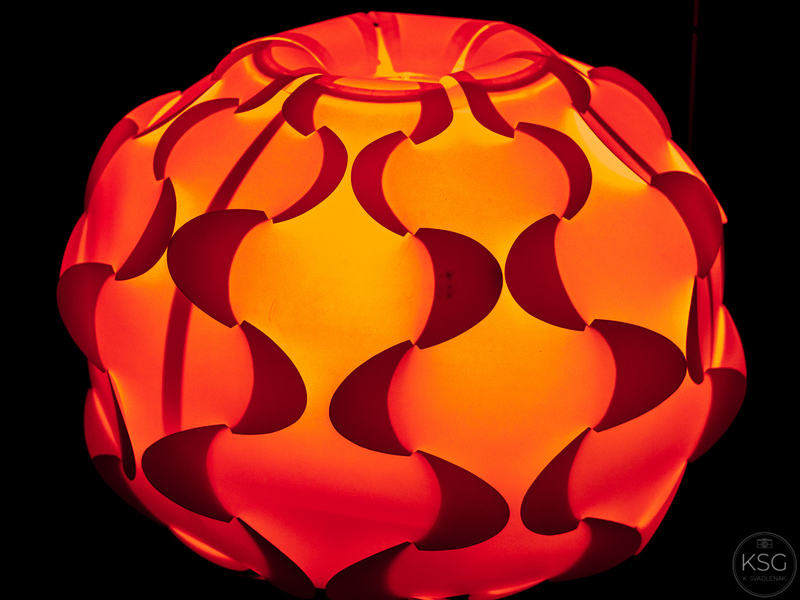 Or in this case, “Lumen 400“, an art installation that makes reference to the interdependence of elements and inhabitants of living spaces. I immersed myself in this strange habitat for an entire 1.5 hours there, because I found the intriguing soundscape and the constantly changing lights utterly mesmerising. 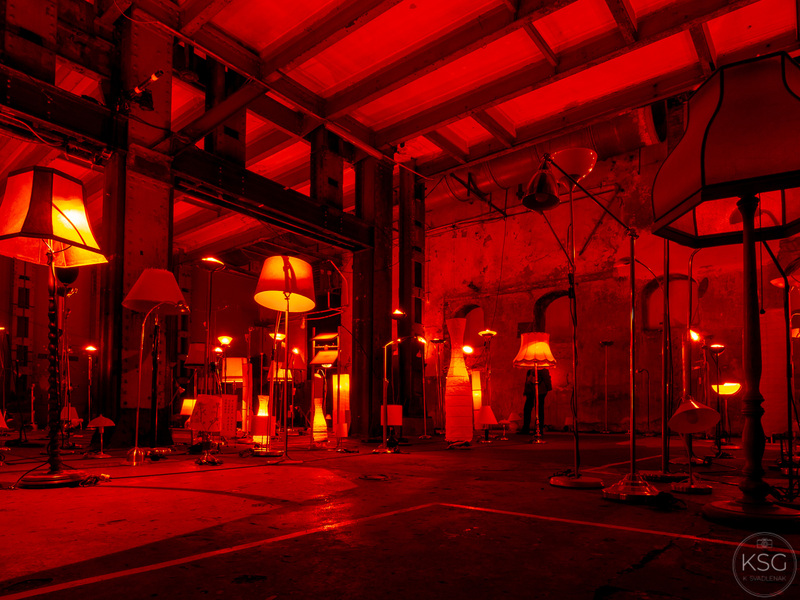 The lights are produced by modern LEDs housed in a collection of 400 old floor lamps, wired and connected, switching on and off in changing colours, dimming and brightening, flickering rhythmically and illuminating different parts of the large former production space at Ottakringer Brauerei in a constantly changing pattern of moving light and sounds. 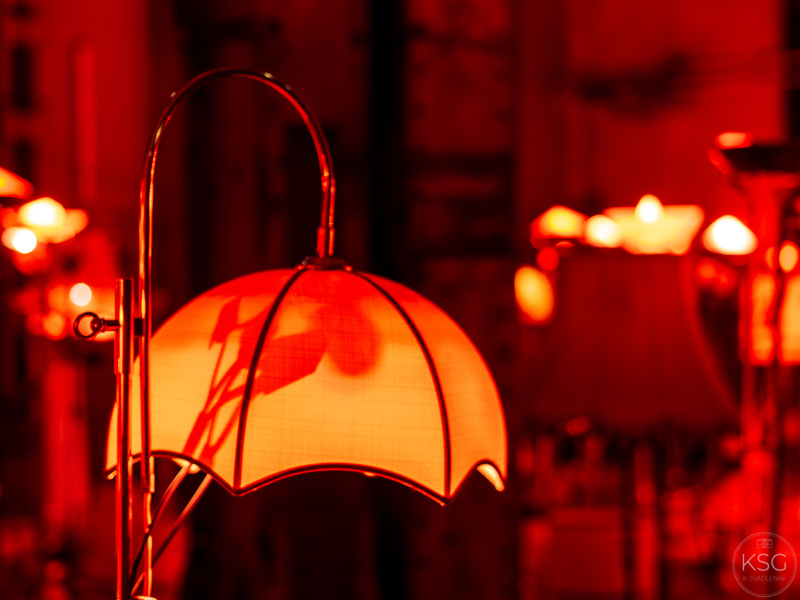 You might even recognize one or the other lamp, since the artist procured many of pieces from the 48er Tandler, an outlet store where Vienna´s waste management team sells well-preserved or repaired “throwaway” items (you know, one person´s trash is another one´s treasure). 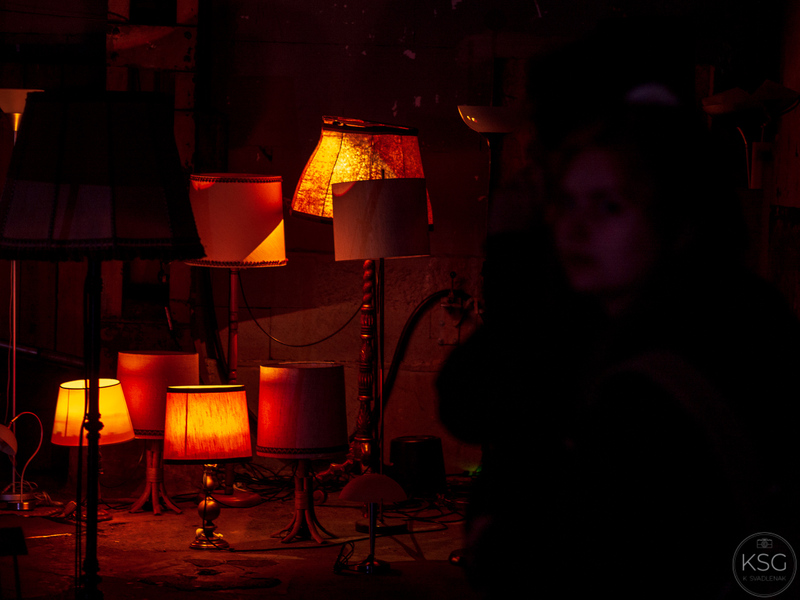 He collected about half of the lamps himself and borrowed the rest. Photos cannot do this type of exhibition justice at all, but I tried to capture some of the beautiful glow and moods created. Nevertheless, the images lack the essential auditory component of this work of art. One really has to hear and feel the sounds and experience the ever-changing light environment to understand what a fantastic sensory experience the artist has created here. It is a type of artificial ecosystem you can stand in, wander through and view from different angles. The sounds bring associations that will be different for everyone, and so as you visit your past experiences, attitudes, and feelings will all come in to play and interact within the installation environment. The soundscape is composed of a sequence of all kinds of mostly natural tones, including environmental noises, vibrations, and beats one might hear around town. They were partly recorded by Johannes Rass himself, and partly acquired from a sound artist. The full sequence runs for some 100 minutes, and I heard almost all of it. You would not call it music, but it was, to me, rather a pleasing cacophony of natural and man-made sounds. At one point I felt that the installation was simulating an ocean , when what sounded like waves to me coincided with blue lights. Another time kind of explosive sounds accompanied flashes of the lamps, making me think of landmine explosions or electrical fires. Then again, there were construction sounds, but also more peaceful tones, like birds, weather — rain, wind perhaps –, and so many other types of rhythmic auditory experiences. Hard to describe, really, one had to hear and see it. Sadly, this installation stood for only two days in the halls of the Ottakringer Brauerei – Rass told me that the space was not available for a longer period. All too brief really, for such an enchanting labour of love. There is hope though that we will get to experience it again at other venues. Rass and his team of 10 people would like to “go on tour” with the installation, and I hope they succeed in their negotiations. Meanwhile, have a look at the slideshow below for some more impressions.